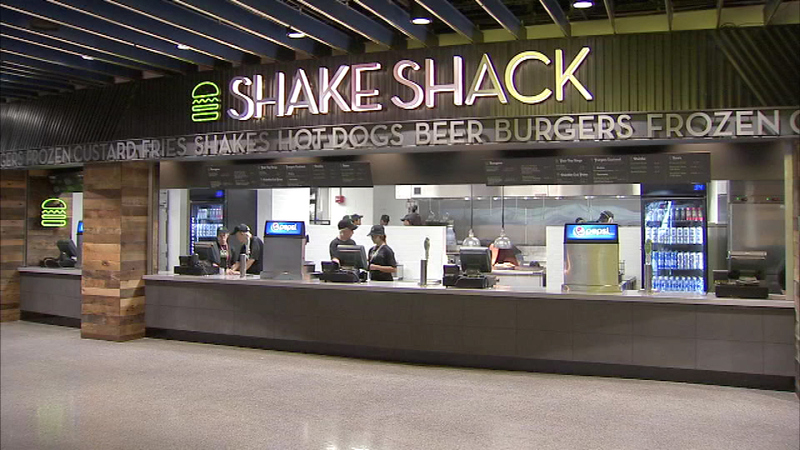 You can now cheer on the Philadelphia 76ers and Flyers while eating a burger from Shake Shack at the Wells Fargo Center. 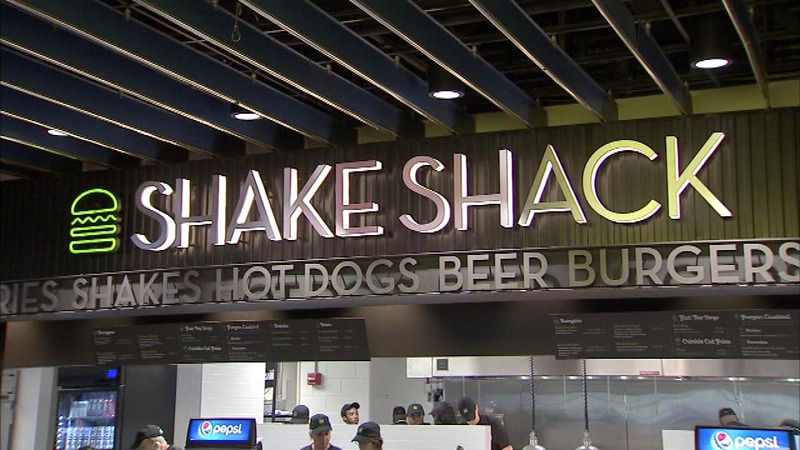 SOUTH PHILADELPHIA (WPVI) -- You can now watch the Philadelphia 76ers and Flyers while eating a burger from Shake Shack at the Wells Fargo Center in South Philadelphia. 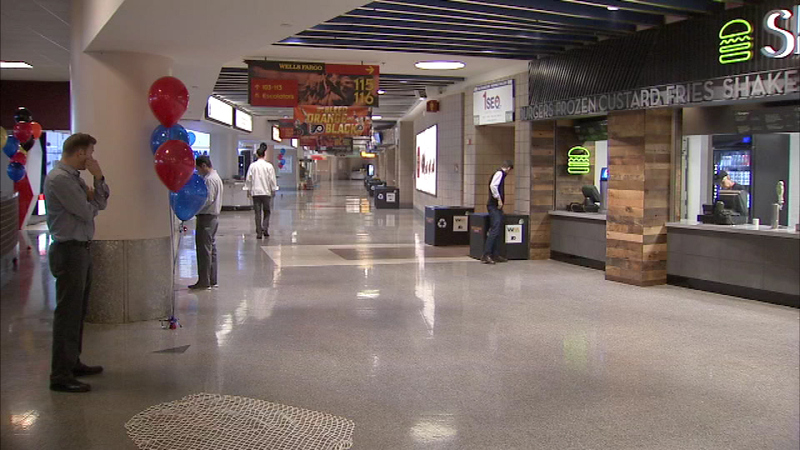 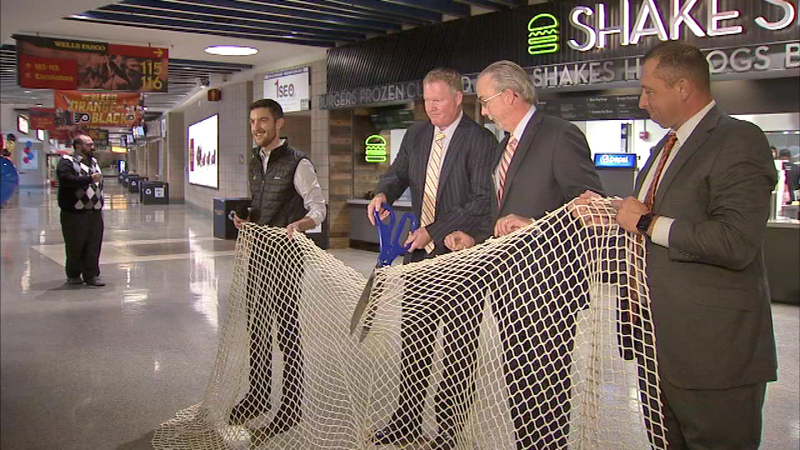 Officials cut the ribbon on Thursday at the Wells Fargo Center, which has become the first NBA and NHL arena to add a Shake Shack concession stand. 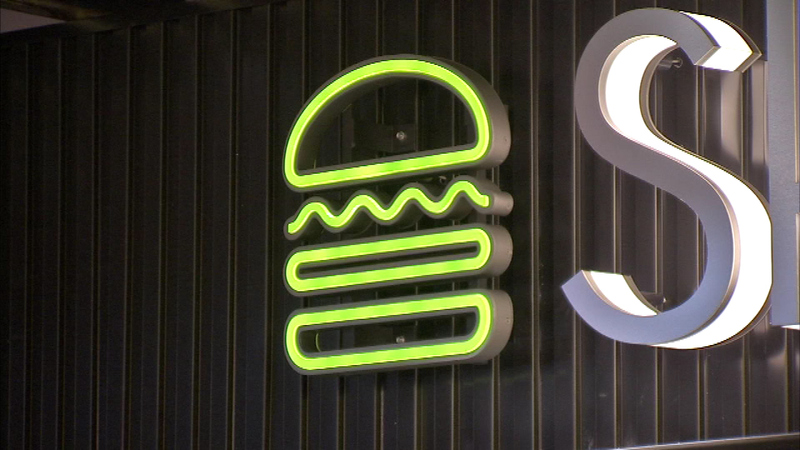 There's a new Shake Shack in town. 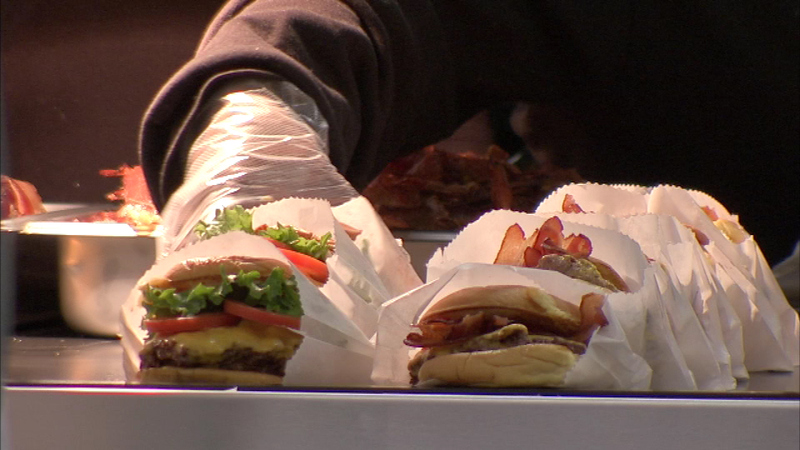 Locally, Shake Shack also has locations in Center City, University City, and King of Prussia, Montgomery County. 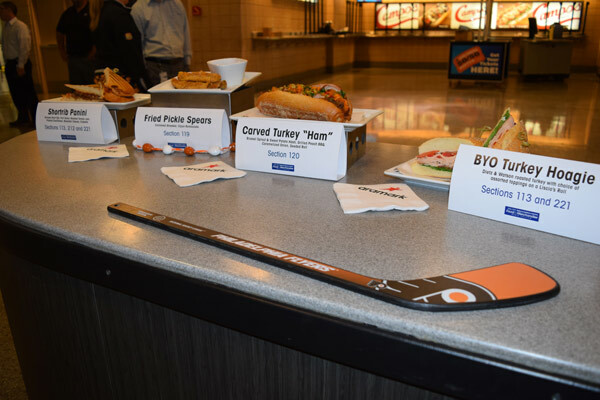 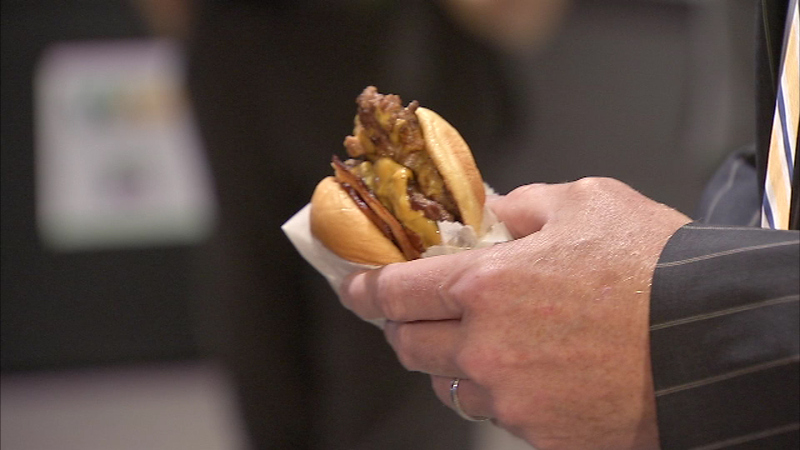 The Shackburger is not the only new food offering this season at the Wells Fargo Center. 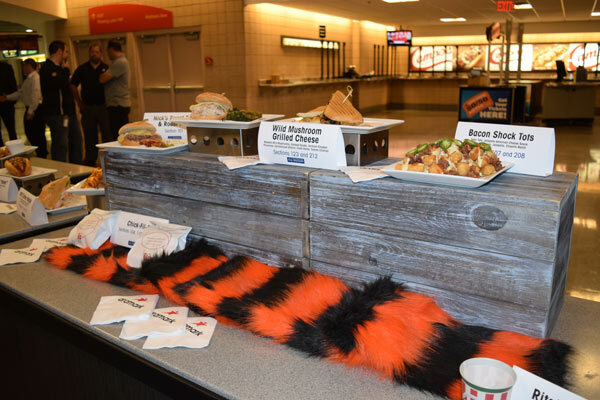 Other additions include artisan-style soft pretzels at The Loop, Bacon Shock Tots at PJ Whelihan's, shortrib paninis and Build Your Own (BYO) Turkey hoagies at sections 113 and 221, Philly Cheesesteak Stak (loaded curly fries topped with chopped steak, wiz and fried onions) at the Cure Club, microbrews, and a Wild Mushroom Grilled Cheese (grilled cheese sandwich option comes with roasted wild mushrooms, smoked Gouda cheese, Vermont cheddar cheese, provolone cheese, caramelized shallot, fresh herbs and tomato chutney) at sections 123 and 212. 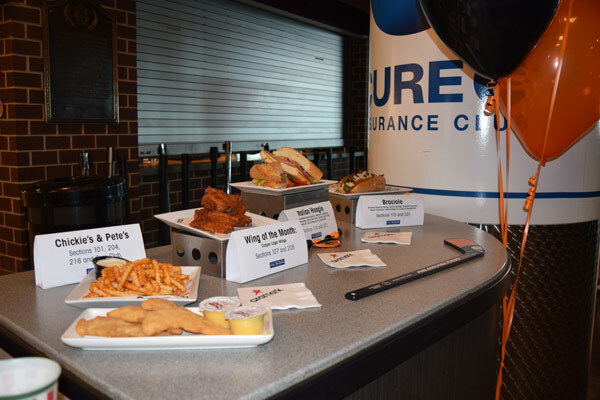 The Flyers have their season opener on Thursday. 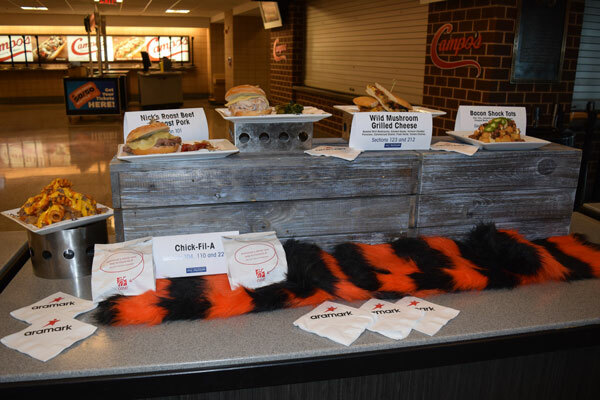 76ers fans will have to wait until October 26 to try the new grub.